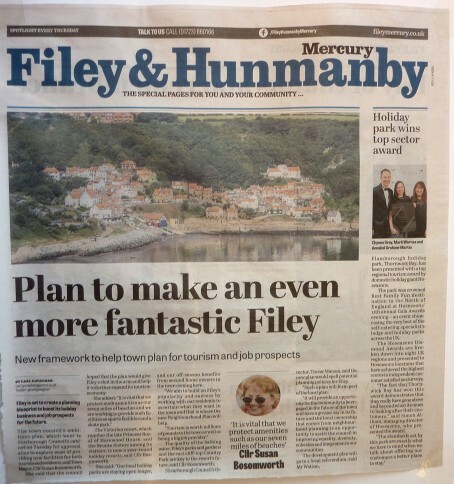 Puzzled readers may have been forgiven for thinking the ‘plan’ reported on the front page of the Filey & Hunmanby Mercury involved transforming the Yorkshire coastal town into a different place entirely. The Mercury, which appears as an insert in the Scarborough News, erroneously used a photograph of Runswick Bay, around 35 miles up the North Sea coast, to accompany the piece. Given the alarming state of our industry, and the growing frequency of stories like this, perhaps it’s change to move from “Friday Funnies” to “Friday F***-Ups”?